Welcome to the thirteenth installment of Link Loves. These posts are all about my favorite links of the week! It can include bloggers, articles, news, clothing, accessories, and other cool links I’m enjoying. If you have a favorite blogger or article, share them with me in the comments! Critically Claire is back in full blogging swing with a new series on how she writes D&D campaigns. As someone who is entertaining the idea of doing a one shot campaign, I can’t to see what advice Claire has in store for newbie DMs. Check out her first post and get those creative stories going. 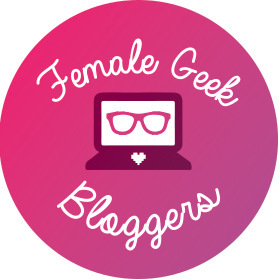 Emma of A Cornish Geek brings us an amazing list this week. She asked a few bloggers what were their favorite books written by female authors. The resulting list is amazing! The Comic Vault has a lovely segment called Comic Kitchen where they take a pop culture character and create a themed three course meal around them. This week is Captain America. Feast your eyes on Cheese Macaroni Muffins, Meatloaf, sides, and a special dessert. The Geeky Tourist takes us to Wonderland where we can finally dine with the Mad Hatter and Alice. See the pictures and fall in love all over again with your favorite childhood book. The Time Ladies have done it again. They created a wonderful 60’s companions Look Book and I am. All. About. It. Who else wants to be a 60’s Space Girl?! Cheers for the mention! There are more installments of comic kitchen coming up in the new few months so your support is appreciated. Thanks so much for sharing my post Megan 🙂 you’ve got a great collection of interesting reads here. You’re very welcome! I try to do these once a week so I can spread the word about all the blogs I enjoy. I love posts like this!! Helps me find other cool blogs to follow – thanks for that!!! !